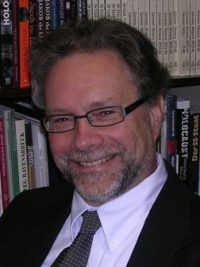 Dr. Fox’s research interests include 19th and 20th century literature, Gotthold Ephraim Lessing, women writers, East German literature, and Holocaust studies. A Companion to Gotthold Ephraim Lessing, ed., with Barbara Fischer. Rochester and Woodbridge/Suffolk: Boydell & Brewer, 2005. Paperback, 2010. Stated Memory: East Germany and the Holocaust. Rochester and Woodbridge/Suffolk: Boydell & Brewer, 1999. Border Crossings. An Introduction to East German Prose. Ann Arbor: University of Michigan Press, 1993. Entzauberung der Welt. Deutsche Literatur 1300-1500, ed., with James F. Poag. Tübingen: Francke, 1989. Louise von François and Die letzte Reckenburgerin. A Feminist Reading. New York University Ottendorfer Series. NY: Lang, 1988.